Healthy sleeping patterns are important at any age, but they’re even more important for pre-schoolers. Not only does their lack of sleep affect parents, it also makes learning and skills development more difficult for your little one. Here are some tips from our play school near Parkmore for overcoming these challenges. 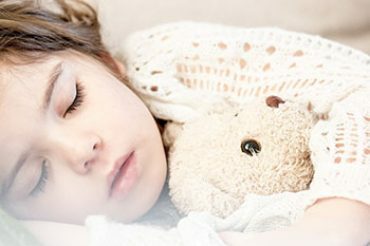 How much sleep does your pre-schooler need? Between the ages of 2 and 4, your child should be getting between 10 and 14 hours of sleep a day. This can include a nap in the afternoon, but as your child gets older they may not feel the need for one. Generally, children in this age group will go to sleep between 7:30 and 9, and wake up between 6:30 and 8. Consistent bed time: Choose a bed time and stick to it. This will help set your child’s internal clock and make it easier for your child to fall asleep quickly, as well as prevent overtiredness. Make a bedtime routine: Repeating a nightly routine helps settle your child into the mind-set needed for restful sleep. Try to include 3 or 4 soothing activities at least an hour before bed time to calm your child down for the night. This can include a bath, changing into pyjamas, reading a story, cuddling, singing a lullaby or other quiet activities. Making it the same every night means that your child can anticipate what is happening, which helps make falling asleep easier. Calm and quiet: An emphasis on calm, quiet and soothing activities can be helped with a few sensory items that reinforce the bedtime ritual. The smell of lavender, a special night light that softly lights the room or a specific snuggle blanket for story time all help support your bedtime ritual. Reading is a wonderful activity for encouraging language development and bonding with your child. 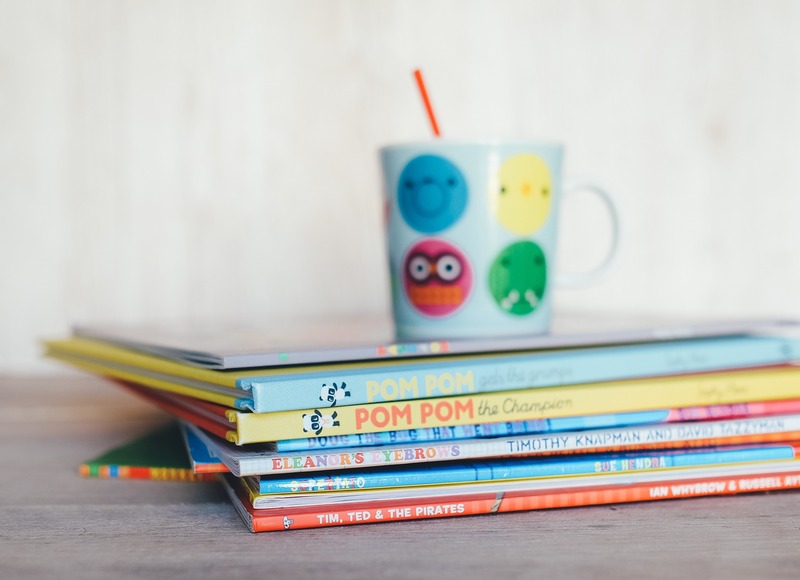 If you enjoy ending your child’s day with a bedtime story and inspiring in them a love of reading, here are some great recommendations from our play school near Craighall. Giraffes Can’t Dance – by Giles Andreae: This book teaches children all about accepting differences in each other and in themselves, and trying to fit in. It shows them through a delightful story that they will always find a place to belong in the world. National Geographic Little Kids First Big Book of Why – by Amy Shields: From around 2 years old, every child’s favourite word is “why?” and they’re just bursting with curiosity about the world around them. This book answer simple questions in easy to understand terms that young children will understand. Filled with great pictures, this book is pure, fun-filled learning. The Monster at the end of this Book – by Jon Stone: Fun to read with a fantastic punchline at the end, this book is a great experience for kids as well as adults who grew up with the Muppets! I Lost My Tooth in Africa – by Penda Diakite and Baba Wague Diakite: This is a lovely story about a little girl who loses her tooth in Mali while on holiday and the surprising thing the tooth fairy brings her! This is great for young children of 3 and above. ChickaChicka Boom Boom – by Bill Martin Jr and John Archambault: With great rhymes and funny jokes, this book is all about learning the alphabet. Perfect for toddlers who want to sing along, this book makes early childhood development fun. 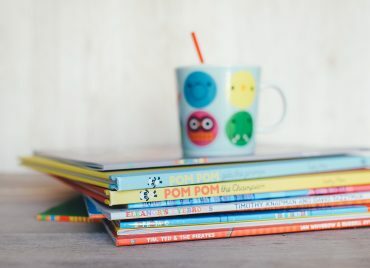 These are just some of the wonderful books out there for toddlers and young children, so be sure to check out your local book stores and second hand book stores for more great bedtime story choices. 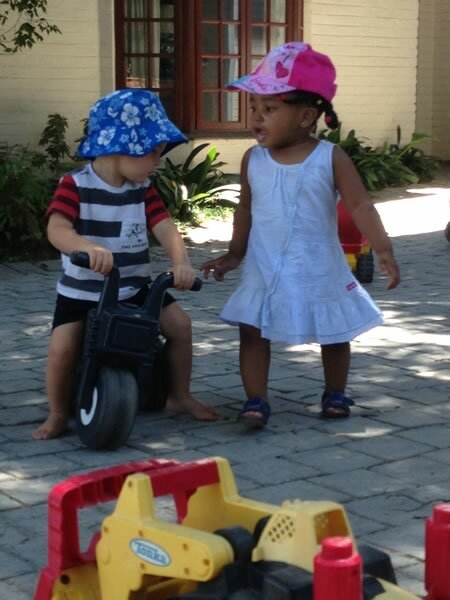 Playschool is the perfect environment to learn tolerance, manners and teamwork! Nursery schools, like Doodlebugs, place an emphasis on holistic learning, combining play with education and encouraging children to socialise with one another. Our little ones spend a lot of time at playschool. It is obvious that this is a place where they will begin to expand on their social skills and learn important lessons about tolerance, manners and teamwork. How to work together in order to achieve a goal. These life lessons and skills are essential if our children are to enter ‘big school’ and reach their full potential. At Doodlebugs Play School and Day Care Centre, we offer a safe, educational day care and crèche environment near Hurlingham for your baby or children from 18 months to 4 years old. Fully supervised by our qualified, loving staff, our professional child care and holistic educational curriculum ensures that your little one will have fun, learn and explore the world in a safe and caring environment. To find out more about our daily routine or to visit our playschool, please don’t hesitate to contact us for more information. Is the television at the playschool on all day or only available during certain times? Do they scold children or give them a time out when they misbehave? Do they allow them to take naps throughout the day and are these naps supervised or not? These questions will give you a better understanding of their parenting philosophies. The only way to know what you’re getting is to find out what happens at the play centre when parents are at work. It might be disruptive if you drop by unannounced, but there should be a receptionist or a teacher available to show you the facilities if you explain that you are interested in sending your child to the crèche. Look at the cleanliness of the environment, the safety features, age-appropriateness of the toys and facilities and the type of facilities they have for the children to use. The crèche that you choose should have an open-door policy and give you periodic feedback about your child. If your youngster doesn’t talk yet, then you will be relying solely on the feedback they give you, so make sure they are open to input and communication with parents and that you can rely on them to be proactive if any challenges arise. Research has shown that development in a child’s social-emotional abilities is just as important as their intellectual abilities. Children with a strong emotional foundation are better at developing and maintaining warm, positive relationships with friends and family members and it helps them with everything from self-awareness and self-regulation to accountability and adaptability. When choosing a play school in Parkmore, Johannesburg, for your child to attend, it’s important that you pick a professional child care centre that focuses on emotional learning in children. Some of the things that this centre should focus on include helping children to respond with inquisitiveness, identify and name feelings, helping them to calm down or manage their emotions when they are upset or angry and be aware of the feelings of others. Many parents are very interested in implementing strategies that help their children develop positive character traits and emotionally intelligent children, but it’s crucial that these strategies are carried through at their play schools as well. Teachers need to encourage positive emotional development through a variety of exercises and tasks that are modelled on emotional-social learning such as being a good listener, modelling the behaviour you seek in a child (like the treatment of others with respect or saying you are sorry if you are wrong) and respecting differences in people. To develop your child’s self-esteem and foster a happier, more well-adjusted human being, send your child to a play school where emotional learning in children is a priority. If you have a Christmas tree in your living room, then letting your child create their own Christmas ornaments to put on the tree is a great idea. All you will need is a green felt, foam sheet, a glue gun, ribbon and various sized/coloured buttons to make this ornament. After cutting a tree shape out of the green felt, use a glue gun to attach the felt to the foam back. Let your child choose different buttons to place on the tree. Look at pictures of this button tree ornament for more information and details. Get green construction paper and trace the hands of all of your family members on the construction paper. Cut along the lines so that you are left with multiple hand shaped pieces of paper. Stack the construction paper on top of each other, with the smaller hands at the top and the bigger hands at the bottom, before adding a star to the top of the tree. Cut out a shape of a beard on a piece of construction paper (or get a Santa beard template here) and tape a Popsicle stick to the back of the beard. Let your child glue cotton balls on top of the beard. Visit this page for more pictures and details of the Santa beard. 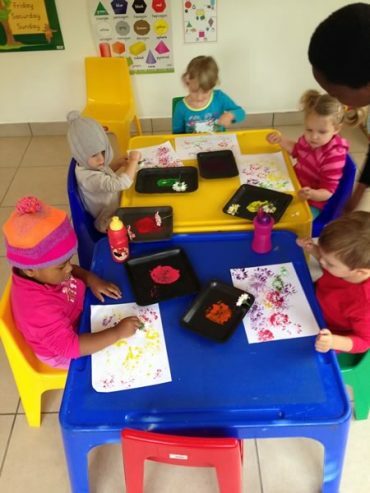 At Doodlebugs Play School and Day Care Centre, we offer a safe, loving day care and nursery school environment in Sandton for your baby or children from 18 months to 4 years old. Fully supervised by our qualified, loving staff, our professional child care ensures that your little one will have fun, learn and explore the world while giving you complete peace of mind. To find out more about our daily routine or to visit our nursery school, please don’t hesitate to contact us for more information. 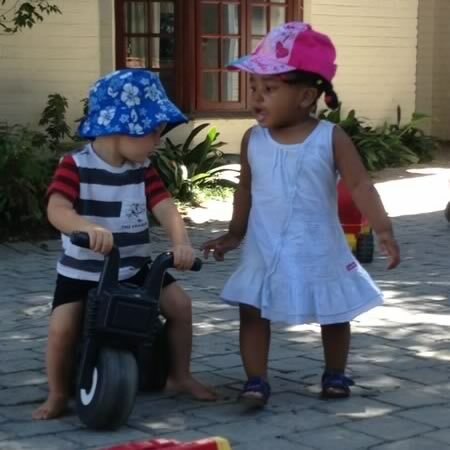 Learning social skills is an important part of your child’s early development. 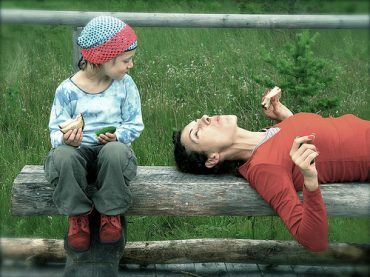 These skills focus on communicating and interacting with others in a healthy and positive way, as well as learning responsibility, self-control, consideration for others and self-confidence. Here is some insight into how children develop these skills, from our playschool near Hurlingham. As an infant, your child comes into the world completely dependent on the people around them for love and care. As they grow, they start of develop self-awareness, bond with family members and become anxious when separated from them. Even though they may interact with other infants to a degree, their real social development starts in a playschool environment through regularly interacting with different adults as well as children of a similar age and engaging in activities together. Creating opportunities for interaction – Through fun outings, group and one-on-one activities. Even for children who find socialising easy, it’s important to practice these skills in different situations and with lots of different children. Helping children to communicate effectively – Often, children find it easier to express themselves physically if they are finding themselves frustrated or unhappy. Teachers play a strong role in recognising challenging situations and helping children to instead express in words how they feel, ask for what they need and do so in a calm and positive manner. Learning all about manners: While parents have an important role to play in helping kids learn about manners, teachers can support this by expanding this to different interactions with adults, unfamiliar people and peers. Learning to say “Hello” and “Goodbye”, taking turns, sharing toys and develop cooperative skills are all valuable parts of the play school experience. The best Halloween costumes for kids! Halloween is a chance for parents and kids to get creative and have some fun – and this means coming up with a fantastic costume idea! Here are some inspiring ideas for you from our playschool near Craighall. 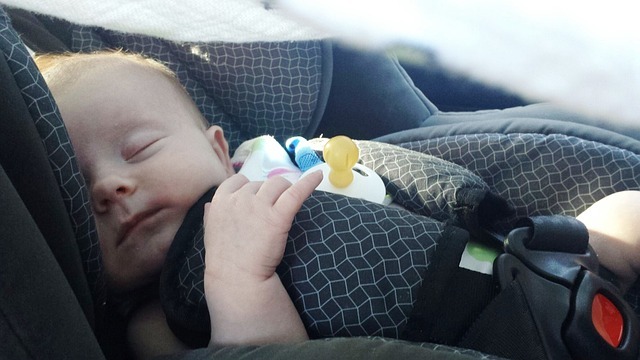 Little old lady/man: Is your baby just learning to walk but still needing some support? Dressing your child up as a little old man or lady is the perfect outfit! You can adapt a stroller to give them something to hold onto and push (their Zimmer frame) while a simple grey wig, spectacles and some mini-age appropriate clothes will finish this cute and clever look. Build your own superheroes: Does your child want to be a superhero when he or she grows up? While costume shops will have plenty of options, why not help them invent their own? This is a great way to encourage their imagination, so invent their super powers, uniform and more together for a fun and memorable look. Zombie children: If you and your kids love to get messy and indulge in the spooky spirit of Halloween, zombies are the best way to go! 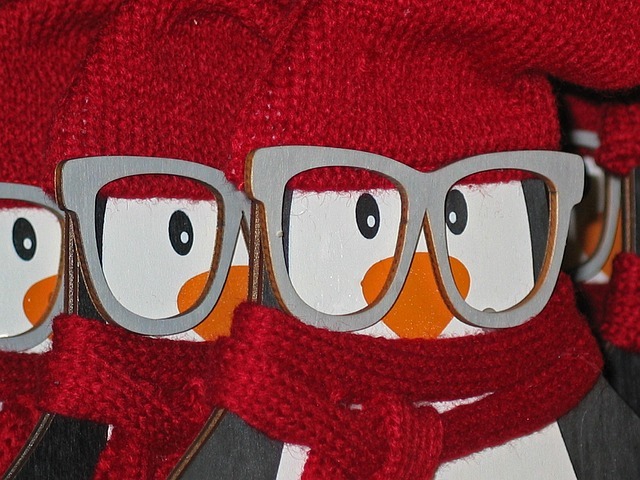 Find some of your child’s old clothing and distress it out a bit to make it look the part. You can also make some edible fake blood at home using golden syrup and red food colouring. A great finishing touch is a manikin hand that your child can bring along with them for extra effect! This is great for older kids, as long as they’re comfortable with such a spooky look. When I grow up: There’s nothing cuter than a little child all dressed up for their career! Your choices are endless, from doctors and scientists to adventurers and sports stars, so you can really get creative with this one. 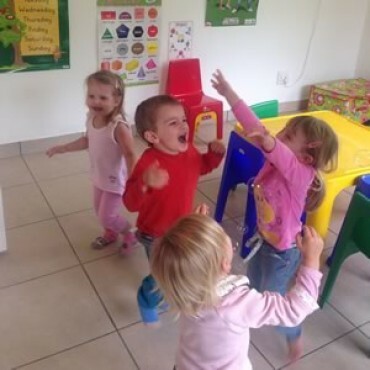 At Doodlebugs Play School, we offer a safe, educational play school and day care environment near Craighall for your baby or children from 18 months to 4 years old. Fully supervised by our qualified, loving staff, our professional child care centre ensures that your little one will have fun, learn and explore the world while giving you complete peace of mind. Please don’t hesitate to contact us for more information. 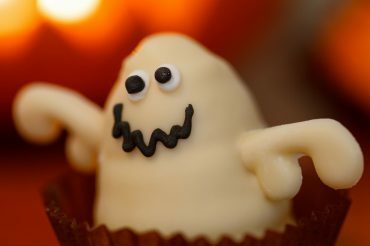 If you want your children to enjoy the fun of Halloween while avoiding the sugar rush, then these healthy but tasty treats researched by our nursery school near Hurlingham are the perfect choice! Honey popcorn balls: Easy to make at home, these baked treats can be portioned out correctly to provide just enough natural sweetness to make them a real favourite. To give them a spooky twist, you can pretend they’re monster brains! Popcorn bags: There are few snacks as delicious – and healthy as a bag of freshly popped popcorn. Rich in fibre and affordable to make, the neighbourhood kids will love them! Portion your popcorn out into individual brown paper bags decorated with a spooky ghost or monster for a Halloween touch. Stickers: There’s nothing kids love more than collecting treasures, so giving out spooky, fun and pretty stickers is a great non-food treat to have on hand. Baked pretzels: Some kids love savoury treats as much as sweet ones, so baked pretzels offer a healthy, salty treat alternative to sweets and chocolate. Spooky pizza: Simply make or buy plain pizza bases and spread on your tomato base. Using strips of cheese, outline a spider’s web being careful to leave big enough gaps that the melted cheese doesn’t run too much. Bake and enjoy! Dark chocolate: If you simply must have something sweet, choose dark chocolate rather than milk or white chocolate, as these are healthier and contain far less sugar. At Doodlebugs Play School and, we offer a safe, educational day care and nursery school environment near Hurlingham for your baby or children from 18 months to 4 years old. Fully supervised by our qualified, loving staff, our professional child care ensures that your little one will have fun, learn and explore the world while giving you complete peace of mind. Please don’t hesitate to contact us for more information. Playgrounds are great spaces for children where they can burn off energy, invent games, play with friends and get some fresh air – but they do pose certain hazards too. Here is some advice from our play school in Sandton on keeping safe and sound in the playground. Supervise, supervise, supervise: A parent or trusted adult should always be on hand to watch kids as they play. This will ensure that children use playground equipment properly, don’t get too rough, watch out for smaller children and keep kids away from potentially dangerous situations. Playground surfaces: Concrete and tar playground surfaces should always be avoided as they are a significant injury risk. Preferred surfaces include rubber mats, wood chips, sand, grass and artificial lawn. The playground should be free of standing water, tripping hazards and dangerous materials like glass and wire. Age-appropriate: Playground equipment should be grouped in separate areas for toddlers, pre-schoolers and school-aged children. Younger children playing on equipment meant for older children are at risk of injury, as the proportions and materials are designed with taller, stronger children in mind. Similarly, older children shouldn’t play on equipment meant for infants or toddlers, as they can get stuck easily or damage the equipment due to their bigger size. Good behaviour: Children of all ages should be taught how to behave properly in a playground. Rules like watching out for younger children, not pushing or shoving on jungle gym equipment and leaving bikes, school bags and other potential tripping hazards away from equipment are some basic rules to learn. Dress right: Remove any necklaces, drawstrings, scarves and other items that can easily get hooked on equipment. 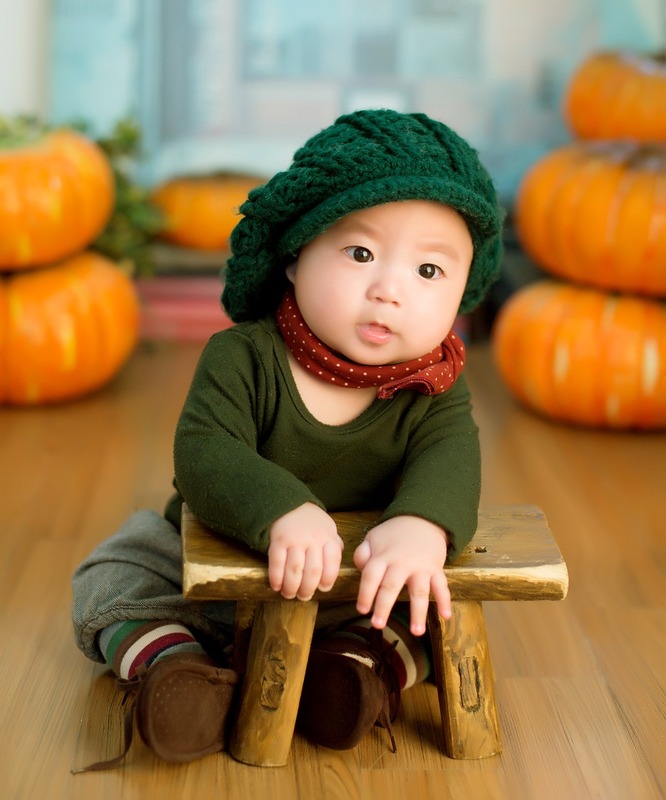 Choose clothes that allow your child to move freely and are allowed to get a bit dirty. Also, remember sunscreen even on cloudy days and a warm top if it looks like it might get cold. At Doodlebugs Play School, we offer a safe, educational play school, nursery school and day care environment in Sandton for your baby or children from 18 months to 4 years old. Fully supervised by our qualified, loving staff, our professional child care centre ensures that your little one will have fun, learn and explore the world while giving you complete peace of mind. Please don’t hesitate to contact us for more information.